Stun your peers and friends with this Evelina Boho Necklace Set. 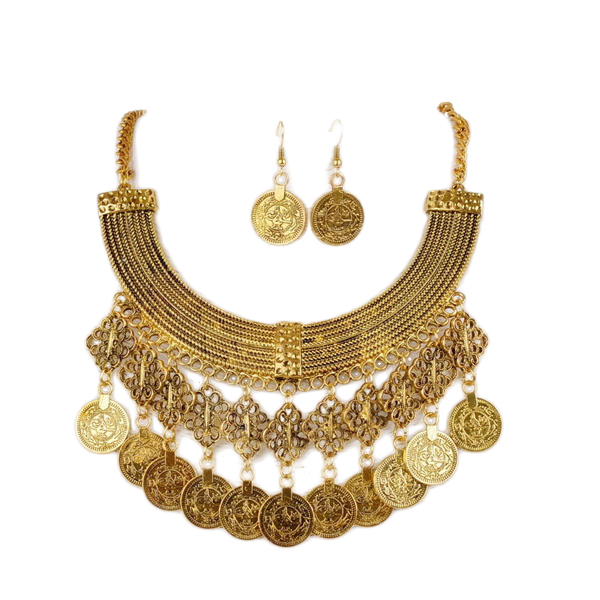 The necklace is designed in a crescent shape with filigree and coin danglers. Matching earrings. Costume jewellery Australia at its best, hot design, top quality and simply affordable.